Budget: President Obama proposed a gargantuan $4 trillion 2015 budget on Monday, with beefy 7% spending increases for most of his pet social programs. So why did he cut one successful program for poor kids to the bone? Yes, Obama's in a spending mood. But he couldn't find the money to fund a tiny, $20 million program that provides vouchers for poor and mostly black and Hispanic children in Washington, D.C. 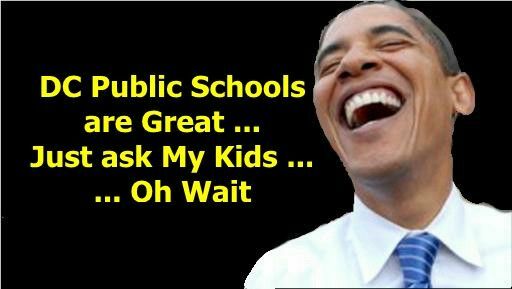 It is one of the few programs that Obama supports terminating, even though the vouchers are a microscopic bit of the massive federal spending machine. This is one of the rare cases of a government program that actually works. The D.C. Opportunity Scholarship Program, as it is called, began under President George W. Bush in 2003 and has allowed thousands of children to enroll in private and Catholic schools by helping cover tuition costs, $8,000 to $10,000 a year. Parents love the wide range of educational alternatives it provides their children, especially because many D.C. public schools are notoriously rotten and even dangerous. Research by Patrick Wolf at the University of Arkansas found that the program raised graduation rates of voucher students by 21 percentage points (from 70% to a whopping 91%). Read the rest of the IBD Editorial HERE.